The kids going back to school means you will need plenty of creative lunch box ideas. Kids often love the same foods, but you can prepare them in different ways so things stay interesting and they don’t get bored. 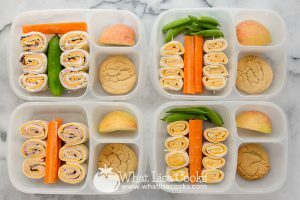 Additionally, it is a great way to get them to try new foods and ingredients because you can incorporate the new items into their favorite lunch meals. When packing a lunch for your kids, it is great to add as many fruits and veggies as possible, give them protein and provide them with a treat. The great news is, their treats can be disguised as healthy…and they will never know! Let’s take a look at some of the best back to school lunch box ideas for kids. If you are looking for a perfect secretly healthy cookie, look no further than these. Your kids will never know these are good for them and they are sure to devour them. 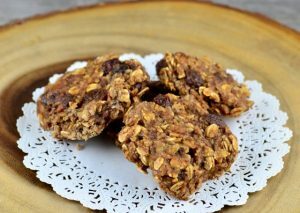 The cookies are only made with 6 ingredients, like oats, applesauce, and banana so you are likely to already have the ingredients on hand. If you are looking for a creative lunch idea, this fun-due is perfect. 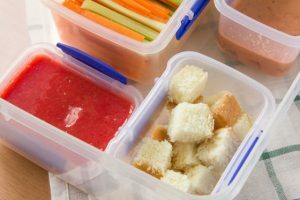 All you have to do is cute meats like ham and turkey into cubes, add some veggie sticks like carrots and celery, and include a treat like small cubes of angel food cake. Then, add the dipping sauces. You can use sauces like salsa, homemade cheese sauce, and pureed strawberries! This is defintely one of the coolest back to school lunch box ideas. For one of the healthiest back o school lunch box ideas, this is the way to go. This is an awesome extremely healthy and nutritious recipe that is great for older and more adventurous eaters. 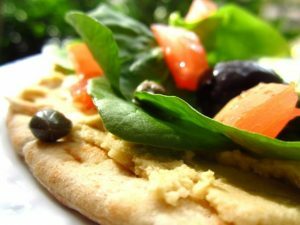 All you need is to take your kids favorite veggies, some simple hummus (plain or flavored), and even though the recipe does not call for it, you can add plenty of cheese. If your kid has an inkling for Mexican food, this lunch box is perfect for them. Fill this box with a simple cheese quesadilla, salsa, guacamole, and tortilla chips. Add some fruit to the mix and pack a separate container of berries, apples, etc. Get your kids to eat their greens! 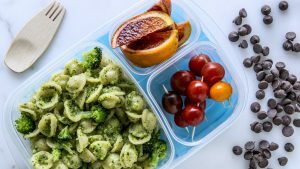 This pasta lunch box is filled with perfectly cooked pasta, healthy pesto, and super nutritious broccoli. Serve with oranges and other fruits or veggies and your kid will love you. Who doesn’t love a good slider? These mini meatball sandwiches are the perfect kid size. 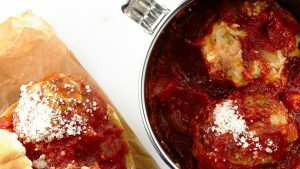 There is not anything for them not to love with melted mozzarella cheese, savory chicken, and tangy flavorful tomato sauce. They will please even the pickiest of eaters. They also travel quite well and do not need to be heated up as they are great at room temp. Get the recipe here for one of the best back to school lunch box ideas. 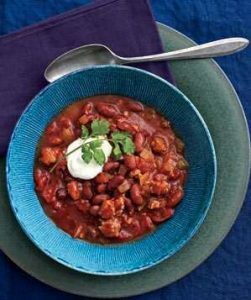 Sometimes one of the best back to school lunch box ideas is a hot soup or stew, and this chili definitely makes the cut. It is filled with tons of protein from the ground turkey and healthy fiber from all of the beans. Check out this hot recipe here. This creative lunch box meal is perfect for the kids that love anything fish and water related. Make their favorite kind of sandwich and use a fish shaped cookie cutter to cut out the sandwich. 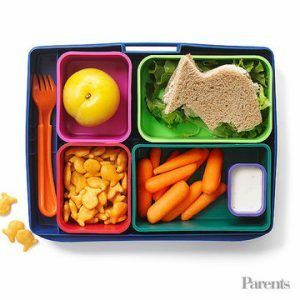 Load the rest of their lunch box with goldfish crackers, fruit, and veggies with dipping sauce. 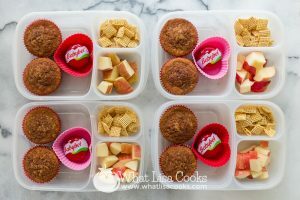 Something breakfast for lunch is a fun way to switch up your kids back to school lunch box ideas. Pack some homemade muffins, dry cereal, and their favorite fruits. Like with this idea, you can add some calcium to their meal and throw in a cheese stick or any cheese of choice. Recipe idea is from here! If your kid gets bored with traditional sandwiches, try these super fun tortilla rolls. All you need is a soft flour tortilla, lunch meats, cheese, and dressing to roll into a tortilla. Cut the roll, place in their lunch box, and then add some of their favorite snacks. Fruit, veggies, crackers, and cheese are always good choices.